A city famous for its industry, Sheffield has grown to become a hub of culture and diversity. It’s now the third largest district in England by population. A Sheffield cab campaign can help you reach a wide and varied audience by taking your brand’s message to an urban audience on the move. At London Taxi Advertising we work with brands large and small to create bespoke Sheffield black cab advertising campaigns that deliver results. Sheffield is a major retail centre, with a bustling city centre and out of town shopping complexes a huge attraction for residents in an around the South Yorkshire region. 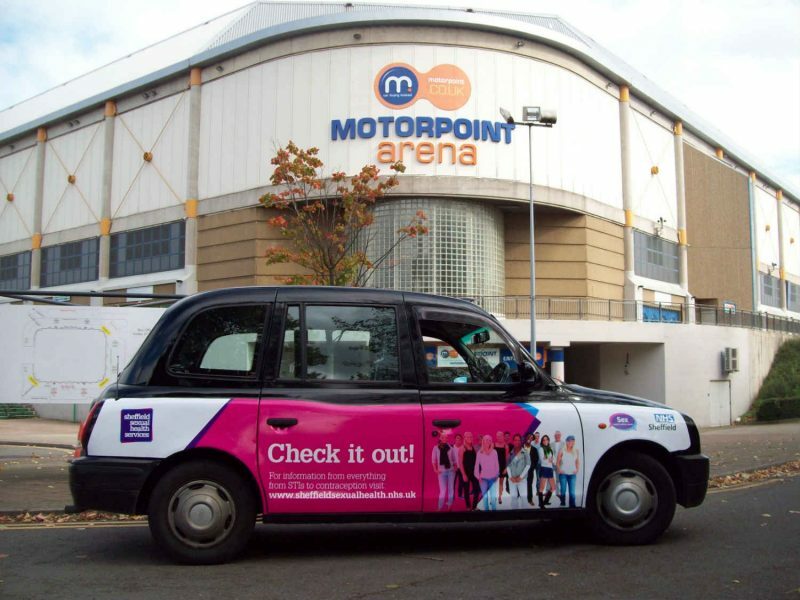 Taxi advertising in Sheffield gives you the chance to get noticed in busy urban areas at a cost-effective price. If you’re looking to reach a younger audience, Sheffield could be ideal for your campaign – there are over 50,000 students now living in the city, with many staying after graduating. Business is booming in Sheffield, with 2.1m professionals commuting to the city to work. A highly skilled workforce, 66% of the population are in professional services, while 33% are degree educated. If you’re looking to reach an affluent audience with purchasing power, look no further than the Steel City.